Pacific Lumber Inspection Bureau (PLIB) and West Coast Lumber Inspection Bureau (WCLIB) have merged operations into a single entity. The surviving organization, PLIB, will retain all of the trademarks and services formally offered by WCLIB, including the structural glued laminated timber certification services of the American Institute of Timber Construction (AITC) a role WCLIB had assumed since January 2013. PLIB President Jeff Fantozzi will lead the new combined organization, from its headquarters office in Federal Way, Wash. PLIB was formed in 1903 and is believed to be the nation’s longest standing grading agency. WCLIB was originally established in 1911. The combined organization will represent annual softwood lumber volume of more than six billion board feet. Three envelopes of money were handed out Wednesday from the federal government to First Nations in the northern region of the province. The funding was given to Aboriginal economic development projects that would help develop close-to-home jobs and solve some close-to-home problems within some rural communities. Each of these projects exhibited a technological advancement on behalf of local living. The innovation word was the theme of the B.C. Natural Resources Forum held in Prince George and attended by federal Minister of Natural Resources Amarjeet Sohi. …”The funding that we have announced here today is for turning waste wood into energy – that’s remarkable – and getting remote communities that are not connected to the grid system off of diesel,” he said. “Diesel pollutes a lot. If we can use a sustainable product, bioenergy, wood, it is a win-win. The economy of Northern B.C. will remain stable through 2019 thanks to oil and gas developments and construction of the Site C dam, but challenges remain for the region’s struggling forestry sector, according to an economic report of the region. …Northern B.C. has been buoyed by improved oil and gas market conditions in 2017 and 2018. …The forestry industry, however, has been burned by a combination of wildfires and the Mountain Pine Beetle epidemic. …”Looking forward, reduced timber supply will place continued downward pressure on this sector and force some forestry companies to rationalize their operations, which could mean shutdowns, further job loss and community impacts in the coming years,” the report states. Wood product exports to China are down 20%, but up 24% in Japan. Pulp and paper exports to China are up 30%, and sales of paper products are at their highest level in more than a decade. HOUSTON, BC — Canfor has resumed operations at its Houston mill following what turned out to be an extended Christmas shutdown. The shutdown, termed a curtailment by the company, was in effect at all of its operations at the end of 2018 due to a continuing decline in lumber prices as well as high log costs and a shortage of logs. Operations resumed Jan. 7. …“The curtailments have not resulted in any layoffs. We employ approximately 385 people at the Houston mill, including the woodlands team,” said company official Michelle Ward. …The Houston facility has been owned by Canfor since 1999 and after an extensive expansion program, was unveiled in 2004 as the world’s largest sawmill with an annual production capacity of 600 million board feet of dimension lumber. PRINCE GEORGE — Canada’s federal minister of natural resources made a funding announcement at today’s Natural Resources forum in Prince George. Amarjeet Sohi announced close to $600,000 for three Indigenous forestry projects in BC, including $475,000 to support an Indigenous bioheat project in Tsay Keh Dene Nation. Once completed, this project would be among the first of its kind to heat and power an Indigenous community in the province. The feds also earmarked close to $65,000 for the Witset First Nation to support equipment upgrades, help train workers and enable new developments at the Kyahwood Forest Products facility located in Witset. Canada’s forestry and legume industries say the country’s two major railways prioritized other commodities over their shipments to the Port of Vancouver late last year, costing companies millions amid surging demand for Canadian goods abroad. …Derek Nighbor, head of the Forest Products Association of Canada, warned the railways against playing “commodity whack-a-mole.” …Three sets of embargoes affected forestry products in Vancouver and nearby Squamish, B.C., and marked the second year in a row of frequent stoppages, Nighbor said. …Last week, the Canadian Transportation Agency flexed its newly enhanced authority under the 2018 Transportation Modernization Act and launched an investigation into whether rail companies are fulfilling their obligations following industry complaints, with hearings set for next week. Both railways have said they will co-operate with the investigation. ST. ANTHONY, N.L.- The province’s decision to award Active Energy Group (AEG) two five-year forestry permits on the Great Northern Peninsula is coming under scrutiny. Questions surround the company’s ability to deliver. AEG’s subsidiary, Timberlands Newfoundland, has been authorized to cut 100,000 cubic metres in forestry districts 17 and 18 on the Great Northern Peninsula. This will allow the company to produce wood pellets to ship to markets in Poland. A $19.7 million pellet plant has been slated for construction in the town of Hawke’s Bay. However, not everyone is in favour of the deal. Leander Pilgrim, a former forestry operator on the Great Northern Peninsula and former mayor of the town of Main Brook, has been opposed to AEG’s proposed operation since it was first discussed in the media in 2017. His concerns at the time focused on the environmental impact forest clear-cutting may have on the Great Northern Peninsula. Several fire departments from Pickaway County and surrounding counties spent several hours battling a multi-alarm fire Tuesday at the American Wood Fibers plant just outside of Circleville. No injuries have been reported, the Pickaway County Sheriff’s Office said. No damage estimate was immediately available. The Pickaway Township Fire Department initially responded at 2:31 p.m. Tuesday to the fire… The township fire department quickly called for mutual aid and about eight fire departments responded, meaning about 60 firefighters were on the scene at the height of the fire. At first, fire officials reported it was difficult to find the source of the smoky blaze, the sheriff’s office said. FORT MILL, S.C. — Domtar Corporation has announced two well-qualified leaders to manage its Kingsport, Tennessee and Nekoosa, Wisconsin, mills. Marty Barfield has been named manager of the company’s mill in Kingsport, Tennessee. Since September 2015, Marty has been the Plymouth Mill’s pulp production manager. …Marty Burkhardt has been named manager of the Nekoosa, Wisconsin mill. Marty previously was Nekoosa’s operations manager, responsible for all aspects of safety, environmental, productivity, reliability and continuous improvement. Timber can be a beautiful, living building material. Species like spotted gum, teak… are prized for things like construction, furniture, sculpture and decking. But Interpol estimates that up to 10 per cent, or $800 million worth of timber coming into Australia each year comes from sources classified as “high risk” for illegal logging. And badly managed timber operations in Australia are destroying critical habitat for species like the Leadbeater’s possum. …So should we be using timber at all, or is it doing more harm than good? …New South Wales Timber estimates that the average timber house frame in that state sequesters about 7.5 tonnes of CO2. 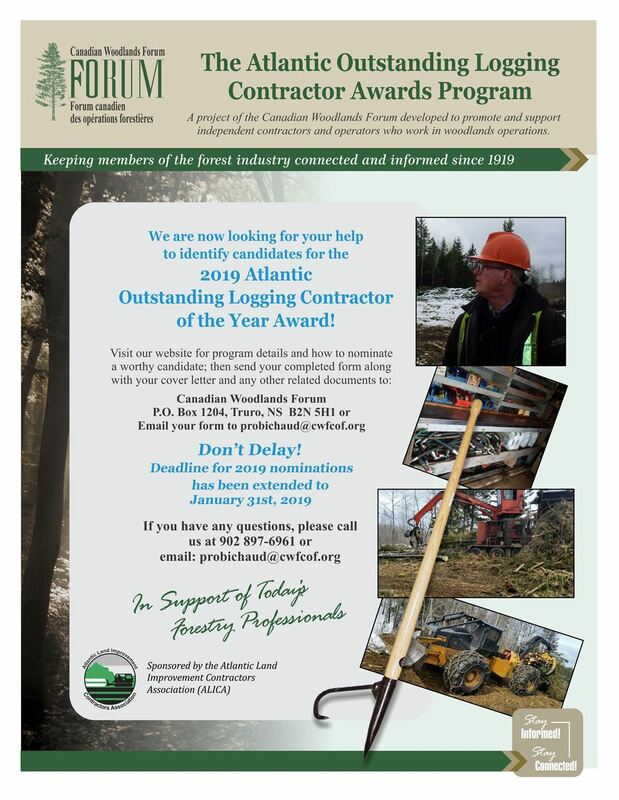 Please help the Canadian Woodlands Forum recognize and support our professional logging contractors by nominating your worthy candidate for the 2019 Award. Deadline extended to January 31st, 2019. “The goal of the Award is to raise the profile and recognition of the logging professions’ contribution to managing the forest resource in a sustainable manner”. All logging contractors involved in the cutting and handling of wood and/or the transport from the stump to roadside (cut and/or move a minimum of 5,000 m of round wood annually; this includes manual and/or mechanical operations) can be nominated. Nominees must have business insurance, be in good standing with WCB; meet all regulatory requirements; work with landowners and companies; practice good utilization and optimization; keep their equipment well maintained; and works & supports their local community and industry associations. VICTORIA – A report on an investigation of B.C.’s framework for woodlot management, and the performance of 15 woodlots in the Kootenay Lake timber supply area (TSA), concludes that the legislative and policy framework for woodlots is appropriate and most woodlots are conducting good forest practices on the ground. However, some woodlot licensees need to do a better job of meeting their obligations for reporting, assessments and tenure administration. The board found that three of the 15 woodlots examined had problems complying with legal requirements related to reforesting logged sites, but all other ground-based practices, such as road construction and timber harvesting, were good. However, 12 of the 15 licensees did not meet administrative requirements, such as reporting their activities to government and conducting and documenting fire hazard assessments. Saik’uz First Nation has signed a 10-year timber supply agreement with Nechako Lumber Co. Ltd. The new deal builds upon a previous 20-year timber supply agreement between Saik’uz First Nation and Nechako Lumber Co. Ltd, which expired in 2018. …Under this agreement, 200,000 cubic metres per year — which is approximately 3,000 logging trucks per year of timber, will be provided to the Nechako Sawmill, according to a Jan. 23 press release. Thomas said the new fibre supply deal will provide more jobs and services to Saik’uz First Nation. Moreover, it provides more security for their logging company — Tin Toh Forest Products Ltd. The agreement also includes community infrastructure improvements and other benefits that will support social needs of the First Nations community. The Independent Review of Forestry Practices in Nova Scotia — commonly known as the Lahey report — by University of King’s College president Bill Lahey was the culmination of years of public opposition to and criticism of the way forestry was being conducted in the province. Of particular concern was clear cutting on Crown land. …The Lahey report was largely embraced by small woodlot owners, in part because they saw the need for a change in approach if the forests in Nova Scotia are to look the way most people want them to look, while also providing economic development for land owners and the people who work in the forestry sector managing that land. …Making the transition to working this way, however, won’t be easy for everyone. Greg Watson knows a thing or two about that. 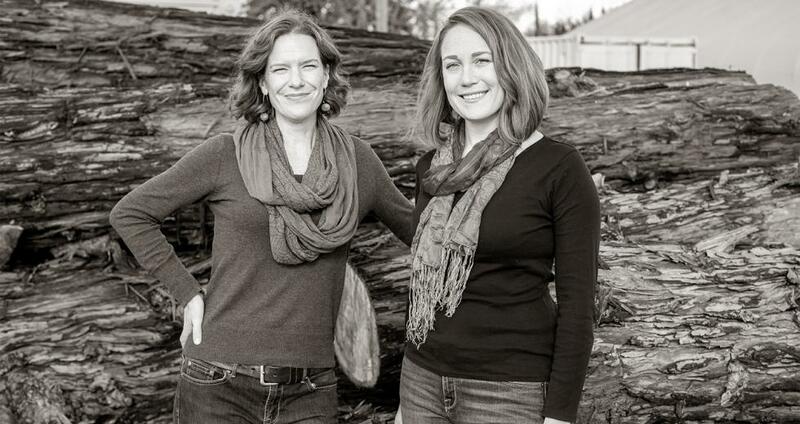 OLYMPIA – Nine organizations across Washington have been awarded a total of $1.8 million in new grant funding through the state Department of Natural Resources (DNR). The money is being given to help make the forestlands surrounding their respective communities healthier and more wildfire resilient. Among the recipients are three from the North Central Washington area, including the Chumstick Wildfire Stewardship Coalition of Leavenworth and the Stemilt Partnership and North Central Washington Forest Health Collaborative, which are both based in Wenatchee. 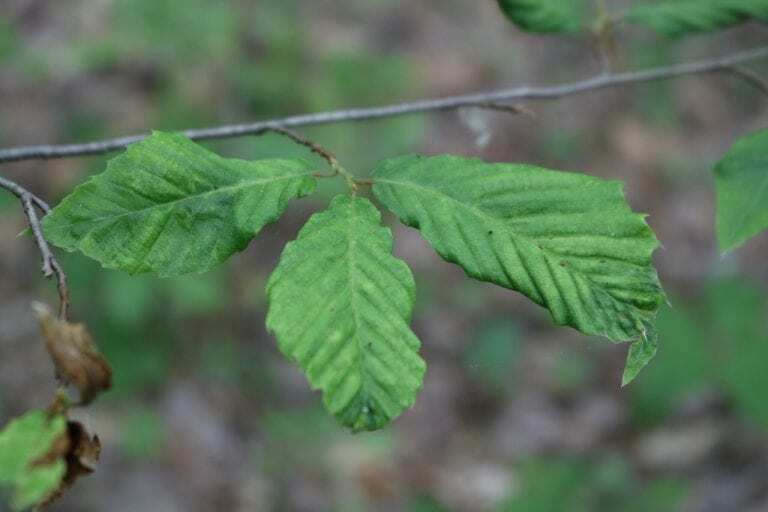 The trio of organizations was awarded a collective total of $388,388 through DNR’s All Lands Forest Restoration and Building Forest Partnerships Grant Programs, which are designed to assist these entities with both conducting forest health treatments and reaching potential partners and the public via outreach activities. SPOKANE, Wash. — The state is months away from wildfire season, but Public Lands Commissioner Hilary Franz has proposed a plan to strengthen the ways that Washington can prevent and respond to wildfires. Franz released the 10-year plan last week as part of her $55 million budget request to the Legislature to improve the state’s firefighting abilities in the face of climate change and more residents moving into fire-prone areas. The plan would add 30 full-time and 40 seasonal firefighters to the Department of Natural Resources, and add two helicopters to the firefighting fleet. It would also create a wildland fire-training academy that different agencies could use. In a news conference Thursday, Franz said the plan included input from nearly 1,000 people. COLORADO — The Summit Board of County Commissioners held their first work session Tuesday with a vacant seat, as former commissioner Dan Gibbs resigned last week to pursue an appointment to head the state’s Department of Natural Resources. The work session covered open spaces and forest management. …Among the high priorities for the department is continued wildfire mitigation work in open spaces near populated areas in the county. …Standing, dead timber all over the county continues to be the lasting legacy of the mountain pine beetle epidemic. Thinning and fuel breaks will be conducted in areas with particularly dense beetle kill. …The Colorado State Forest Service also gave a recommendation of keeping a density of 175 trees per acre in treated areas, while removing “ladder fuels”. Sacramento Tree Foundation’s Urban Wood Rescue program gives new life to urban lumber. Like any forest, Sacramento’s urban forest is subject to vicissitudes of nature. …The Sacramento Tree Foundation’s Urban Wood Rescue has a solution to prevent these urban trees from being neglected or summarily destroyed — a solution that gives back to local artisans and institutions, and provides a useful product where waste would otherwise win out. Through the Urban Wood Rescue program, The Sacramento Tree Foundation is providing a new home for those landfill-bound trees, repurposing those trees as lumber and providing a service to organizations and artisans throughout the Sacramento area. …the program is able to repurpose lumber and sell it inexpensively to consumers and organizations in the area. 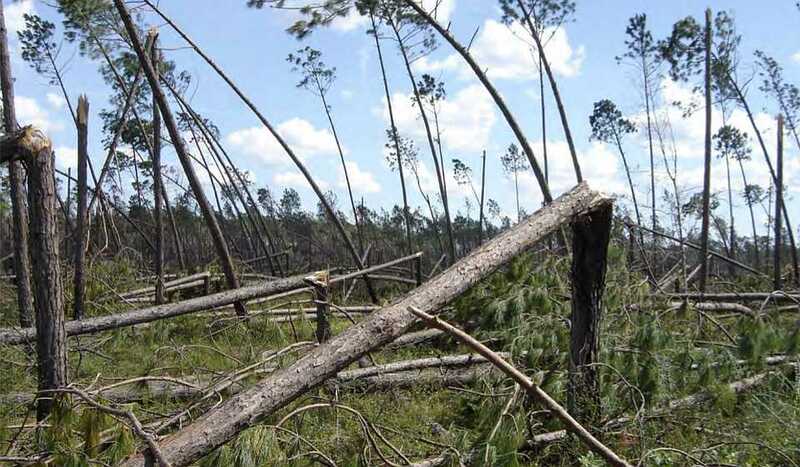 TALLAHASSEE, Fla. — It could take a decade or more for Florida’s timber industry to recover from Hurricane Michael’s devastation, and the countless downed trees pose an immediate wildfire threat, Forida Forest Service Director Jim Karels told a Senate committee Tuesday. Karels told the Senate Agriculture Committee that about 1.4 million acres had severe or catastrophic tree loss, meaning 75 to 95 percent of the pine trees were damaged or destroyed. He said a 20-mile swath from the Gulf of Mexico to the Georgia border was the worst-hit area. More than 16,000 private landowners were affected overall, including moderate damage far beyond the storm’s eye, he said. Karels recommended the state provide $20 million to help landowners clear fallen trees and start replanting the forests. He also recommended spending nearly $9 million for equipment and programs to help reduce the fire threat. …The timber industry suffered about $1.3 billion in damage during the storm. There have been fresh claims that there’s a shortage of people to plant the Coalition Government’s one billion trees by 2028. This is in part because wages and are too low and there’s a lack of job security, this is why employers cannot attract more workers. There has been a claim from Forest Management Director that planting rates had reached $400 dollars a day in Northland. …A silviculture contractor … says, “Regarding employees being able to make $400 per day at 60 cents per tree; these are utterly false facts… Fact of the matter is that to ensure contractors can pay their workers’ wages that reflect the type of job they are doing, the contractors themselves must be paid decent rates. It is the forest owners and managers that need to take a good hard look at themselves and admit they are a bigger part of the problem. FIRST Union General Secretary Dennis Maga says claims are highly misleading. Large crowds are set to descend on Dail Eireann next Wednesday (January 30) as the ‘Save Leitrim’ group, together with residents from all over the north-west, aim to voice their opposition to Government policy on afforestation in the region. The ‘Save Leitrim’ group was established 12 months ago, to highlight the plight of residents in the affected areas after it emerged that 18.9% of the county’s land is now planted – the figures were outlined in the Department of Agriculture, Food and the Marine’s National Forest Inventory 2017. 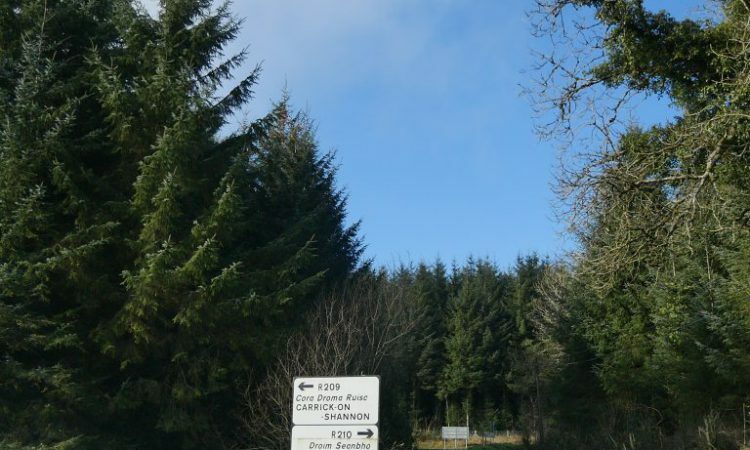 The group’s founder Justin Warnock told AgriLand this afternoon (January 22) that the trees being planted in his county – Sitka spruce trees – “do not benefit the environment” and contribute “very little” to local ecosystems. “These plantations do not create employment on the ground either; it is pure sheer greed that’s going on here, and people are becoming displaced because of it,” claimed Warnock. WEST LAFAYETTE, Ind. – Some ecologists believe that species richness is positively related to ecosystem productivity, while others conclude that the relationship is bell-shaped or they are unrelated. Using big data, Purdue University scientists now know which theory is correct – all of them. …“There have been quite contradictory and inconsistent results reported on the relationships between biodiversity and productivity. Now we have an explanation,” Fei said. 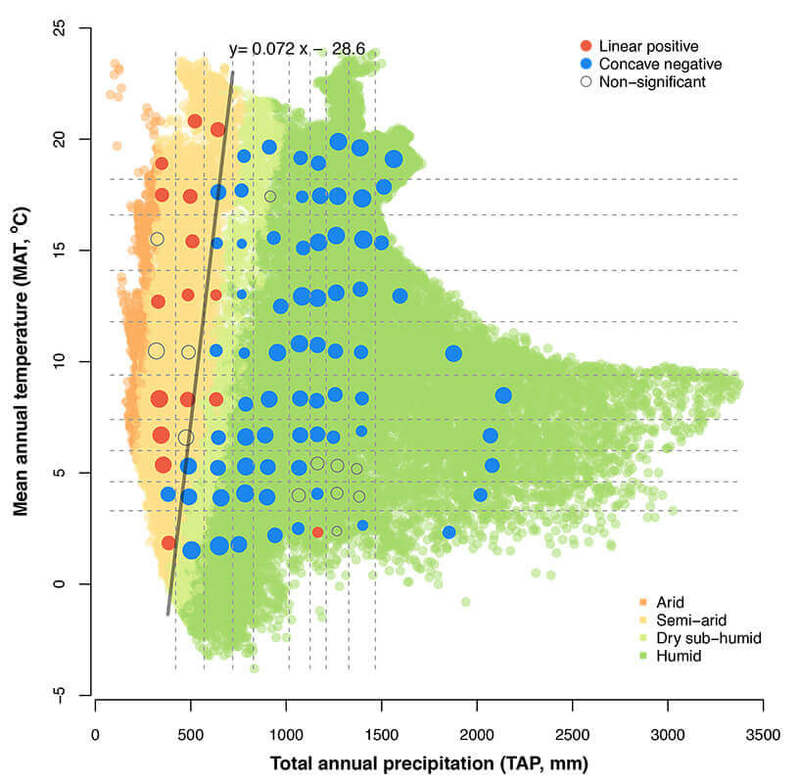 “In a sense, everyone was right, but it depended on their climates.” …Fei and colleagues from the United States, Sweden, China and New Zealand demonstrate that there is a positive biodiversity-productivity relationship in dry, especially warm climates. …“Climate change is going to push these forests into a different climate zone, potentially changing the biodiversity-productivity relationship. At a seminar in Stockholm February 25, SCA will for the first time present figures of the total climate effects of the company’s operations. “Our growing forests, as well as our products, brings substantial contributions to the work with combatting climate change”, says Ulf Larsson, CEO and President of SCA, who will participate in the seminar. Lena Ek, Chairman of the Board of Södra, and Johan Kuylenstierna, Associated Professor of the Stockholm University, will also take part in the seminar. The core of SCA’s business is the forest, Europe’s largest private forest holding. Around this unique resource, we have built a well-developed value chain based on renewable raw material from our own and others’ forests. We offer paper for packaging and print, pulp, wood products, renewable energy, services for forest owners and efficient transport solutions. A “far-reaching” review into the future of bioenergy in the UK has been launched by the Renewable Energy Association (REA), as the trade body seeks to quantify the extent to which the sector can contribute to the country’s decarbonisation goals. The group has this week called on its members to submit their views and supporting evidence on the potential for biomass, green gas, and energy-from-waste technologies to help meet the UK’s legally binding climate targets. Launched yesterday and running until 25 February, the call for evidence focuses on energy – both heat and power – generated from bio-based fuels such as wood pellets and biodiesel, and their role in helping meet the UK’s existing carbon budgets to 2032, as well as full decarbonisation by 2050.